To check out the photos of the mysterious light on the Adobe veranda, which Richard mentioned in the podcast, click here. 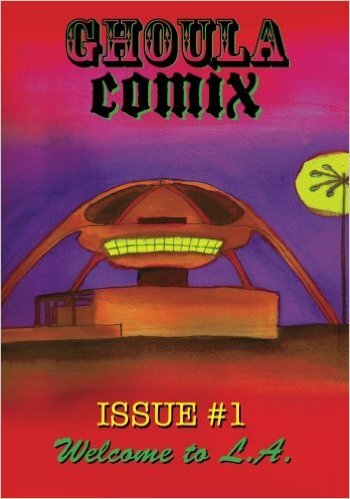 The contest winner will be drawn at random during next month's podcast and will receive a copy of the anthologies GHOULA COMIX Issue #1: Welcome to LA and GHOULA COMIX Issue #2: This is the City by today's guest Richard Carradine and others. What was the name of the son Espiritu had with Jose Antonio Menendez? The winner will be drawn during the next episode (on or about April 20, 2016). One entry per person, please. 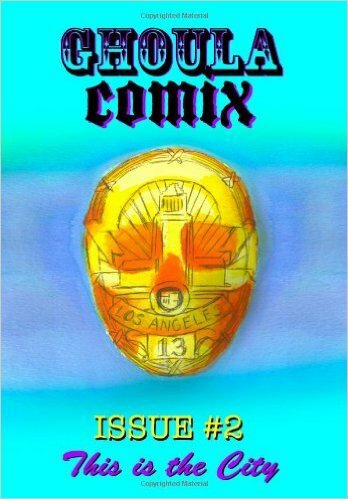 You can also purchase copies of the comics through Amazon. border that divides France and Spain. Rumor has it that by the time he was 20, he led the operation - but it was not without consequences. The bad guy reputation he had developed brought shame upon the otherwise well-respected Leonis family name. What happened next varies from story to story: Miguel was either forced to leave the country by his father, who was worried that his government position was at risk by association with his scoundrel son OR the French authorities were on Miguel’s tail for smuggling - and the young man fled the country to avoid arrest and prosecution. Yet another story (that similarly has him on the run from the French authorities), claims the law was less concerned with his smuggling ties and more interested in arresting him for murder. 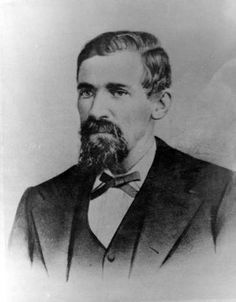 Whichever way it happened, in 1858 Miguel Leonis arrived in Los Angeles. With little money and no possessions, legend has it he went to work as either a sheepherder or a foreman for a man named Joaquin Romero. Miguel had a good work ethic and his strength was the stuff of legend. According to one tale, a steer once escaped from a herd and ran wild through the streets of downtown L.A. Miguel saw it heading straight toward a woman who was, unfortunately for her, wearing a bright red dress. Jumping in front of the steer, Miguel grabbed it by the horns and twisted the massive animal onto its back, breaking its neck instantly. Miguel's new boss, Joaquin Romero owned half of a 2,000+ acre area known as Rancho El Escorpion. Formerly San Fernando Mission lands, Rancho El Escorpion was a Mexican land grant that had been given by Governor Pío Pico to three Chumash natives: Odón Eusebia (who was either a tribal Chief or a soapmaker – and maybe both) and two of his family members. Rancho El Escorpión was located at the west end of the San Fernando Valley on Bell Creek against the Simi Hills, and encompassed parts of present day West Hills and Woodland Hills. The Rancho got its name from the scorpion shape the mountain made from the viewpoint of Bell Canyon. Odon Eusebia also had a daughter: Maria del Espíritu Santo Chijulla – which translates in English to Mary of the Holy Spirit - she was called Espiritu for short or "Spirit" – and well, there's some foreshadowing for you. Before Miguel Leonis came into her life, Espiritu was married to a man named Jose Antonio Menendez – or perhaps, as one story goes, they weren't married at all and the ne'er-do-well Menendez had won Espiritu from a French Baker in a card game - but the two had a child together, a son named Juan. According to some stories, Menendez died four years later, leaving Espiritu a widow with a small child. In other stories, he simply left town, and the tale of his death was fabricated for the sake of Espiritu's reputation and future. And then there is the too-much-to-believe story that involved Menendez being tied to a hitching post, being beaten by two other men for an untold wrong. His savior arrived on the scene in the form of none other than Miguel Leonis, whose size intimidated the two brutes. Leonis cut Menendez free and, in return, a very grateful Menendez - as a gesture of thanks - offered to sell Miguel Leonis all of his sheep and cattle for $1,000. He threw Espiritu and his son Juan in for free. That last version is hard to swallow for a variety of reasons, but the biggest is that Espiritu was a landowner. She had inherited part of Rancho El Escorpion from her father, Odon. And however Miguel came into her life, you better believe that was a fact he was not going to take for granted. You see, Miguel’s big ambitions had not been tempered by his shameful flight from France. And a few short years after arriving on the scene as an unskilled laborer, Miguel purchased all of Joaquin Romero’s share of Rancho El Scorpion. That’s quite a feat for a newly-arrived immigrant, but still Miguel was not satisfied and he immediately set out to obtain even more land and more control. In 1871, Miguel married the neighboring land owner and maybe-widow Espiritu in a traditional native ceremony of the Gabrielino tribe. Largely believed to be a marriage of convenience, it was with this contract of union that Miguel Leonis gained the entire Rancho El Escorpion as well as all of Espiritu's cattle. But even as the Don of a vast piece of property, Miguel was not satisfied and he wanted even more. More land. More control. Miguel Leonis took that control through land purchases and litigation, often finding himself in court with disputes over property lines – and verdicts which often tilted to his favor once he provided food and alcohol to the appropriate judges and jurors. Miguel Leonis took control by bullying homesteaders and squatters with hired, gun-toting Mexican and Chumash vaqueros. In 1875, a dispute between Miguel's gunmen and some ex-Civil War soldier-homesteaders resulted in a violent and bloody confrontation that raged on for two weeks through the area that is now known as Hidden Hills. Only when the homesteaders' leader, a former Union soldier named Andrew Banks, was finally killed did the homesteaders disperse, and Leonis was left the victor, having defended possession of the land. By the end of the 1870’s, Miguel Leonis was respected by some, feared by most and known to all as the “King of Calabasas." When Miguel Leonis wasn't in court defending his property claims from lawsuits, or commanding his vaqueros to action, he split his time between the Leonis Adobe in Calabasas (where Espiritu lived) and a second home he bought in Los Angeles – where he reportedly kept a mistress. entertaining her family by playing the piano. And, like teenage girls the world over, regardless of era, she kept a diary of the daily goings-on and visitors to the Rancho. She was the apple of her father's eye and his only heir. However, in 1880, at the age of 20 - a time when the young woman should have been creating a family of her own - Marcelina became very ill. Whether or not Miguel and Espiritu knew it was smallpox right away, is unknown. But it is a disease that works quickly and with medicine not being then what it is today, one can only imagine the helplessness Miguel and Espiritu felt as they watched their beautiful child go from common, seemingly innocuous symptoms like aches and chills to the more tell-tale rashes, confusion and vomiting in just a matter of days. And then... Marcelina was gone. Miguel was reportedly overcome with grief. In one account, Miguel was so distraught over Marcelina's death, that he threw a noose over a tree limb in the yard of the Leonis Adobe and attempted to hang himself. Miguel survived the attempt but was so angry at his failure to take his own life that he grabbed a saw from his barn and cut down the uncooperative branch. Miguel would have no more children. Strangely, as much as Miguel adored Marcelina, he treated Espiritu more like a servant than a wife. Allegedly, he even refused to allow Juan, Espiritu's son with Menendez, to come through the threshold of their home. One story goes that when Miguel found Juan asleep on the job at the Rancho, he lassoed his ankle and dragged him down the hill, telling him never to return. Some have said that Miguel married Espiritu only for her property, which is believable enough given his other methods of acquisition. Since Espiritu was a Chumash she was considered "beneath" him in station and therefore Miguel did not want her cited as his wife on anything more official than the native, Gabrielino marriage contract - which was not filed or recognized in government courts. While Miguel Leonis became the third richest man in California with an estate valued at over $300,000, he had a will written that referred to Espiritu only as a "faithful servant" - leaving her money and property valued at $10,000 to (and I quote the will) "prevent her from being reduced to pennies during her lifetime by reason of her ignorance and inexperience." The will had another caveat: Espiritu would only receive the money if she did not contest the remainder of the will, which left his fortune to his relatives in France. Now, had Espiritu left this world first, then this final insult would have mattered very little – but she didn't. In 1889, nine years after the loss of his dear Marcelina, Miguel Leonis was on his way home to Calabasas after winning what would be the last of his lawsuits. Some accounts say he was intoxicated, celebrating his latest win no doubt, and fell from the wagon, his body then pulled beneath the heavy wheels below. Some accounts say his wagon was heavily loaded with lumber and supplies, creating an unbalanced load. When the wagon hit a rut in the rocks and dirt, the wagon rolled on top of him, crushing his chest and face. At the time, there were even rumors Miguel was murdered on that trip home, his body being run over by the wagon to finish the job and conceal the evidence. Miguel certainly had enough enemies. The rumor of murder sprang up initially because of the inquest testimony of the beleaguered Juan – who had been one of three men on Miguel's ill-fated wagon at the time of the accident. The rumor was fed by publisher and family friend Horace Bell, who refused to believe Miguel's death had been an accident. Accident or not, the critically injured King of Calabasas lay in agony for three days before finally expiring in his Los Angeles home. Back at the Leonis Adobe, one has to wonder how Espiritu took the news of Miguel's death. Was she relieved that her oppressor would not return? Was she distressed at the loss of a second spouse? Was she immediately concerned about maintaining her home? What we know for sure is that Espiritu refused the $10,000 left to her in Miguel's will and she hired Horace Bell and U.S. Senator Stephen White to contest the document as a whole – going after all $300,000 of Miguel Leonis's estate - as his wife and rightful beneficiary. The court proceedings began with five weeks of testimony, during which each side brought witnesses swearing that Miguel and Espiritu either were husband and wife or that they weren't. Poor Marcelina's tombstone was even submitted as evidence, for upon it was engraved "the child of Espiritu and Miguel". Testimony from Miguel's previous litigation cases were submitted – most of which did not refer to Espiritu at all. But one did. And it referred to her as his spouse. The court ruled in Espiritu's favor. The Miguel Leonis estate now belonged to her. If only the saga had ended this cleanly. favor. 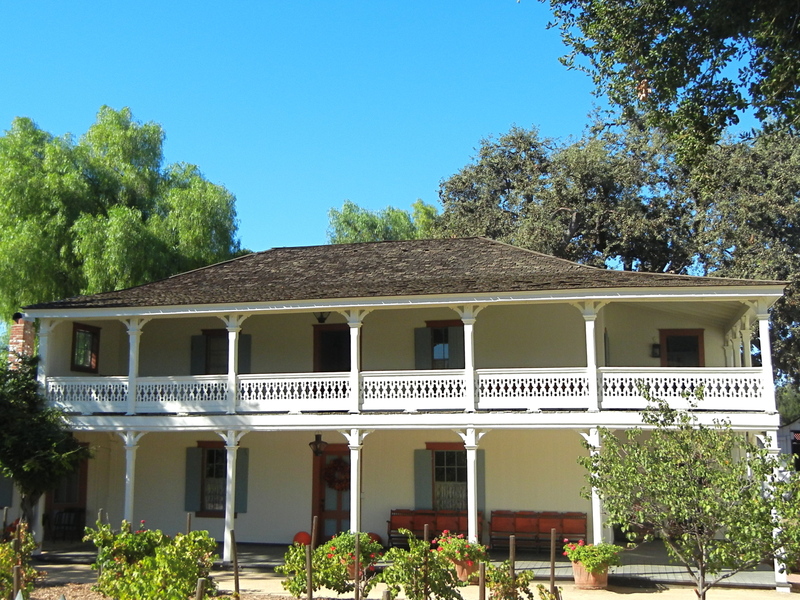 Espiritu lived in the Leonis Adobe throughout all of the turmoil. 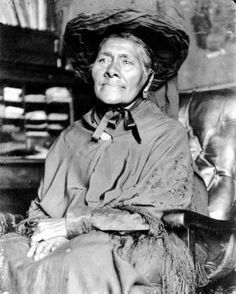 In 1906, roughly six months after the courts had finally re-awarded her the property for the last time, Espiritu passed away in the very home she had fought so hard to keep. and giggling in other rooms of the empty house. Still others report they have felt the sensation of fingers lightly touching their arm, their leg, or the top of their shoulder. So... when you go to Calabasas and you visit the Leonis Adobe, don't forget just who the house will always belong to - or they may have to remind you. Miguel was born in France in 1822, according to family genealogy records. There is no evidence that Miguel was ever involved with smuggling in France; the smuggling story started with Horace Bell in 1909, twenty years after Miguel's death. Miguel arrived in Los Angeles in 1854, according to his immigration paperwork. By 1859, Miguel had become involved with Espiritu; in 1860 their daughter Marcelina was born. Espiritu had a son named Juan, from a previous relationship with Juan Antonio Menendez. Miguel did not marry Espiritu to gain control of the Rancho El Escorpion, since her father was alive until the 1880s. Espiritu would not have married in a traditional native ceremony of the Gabrieliño tribe - she was not Gabrieliño. 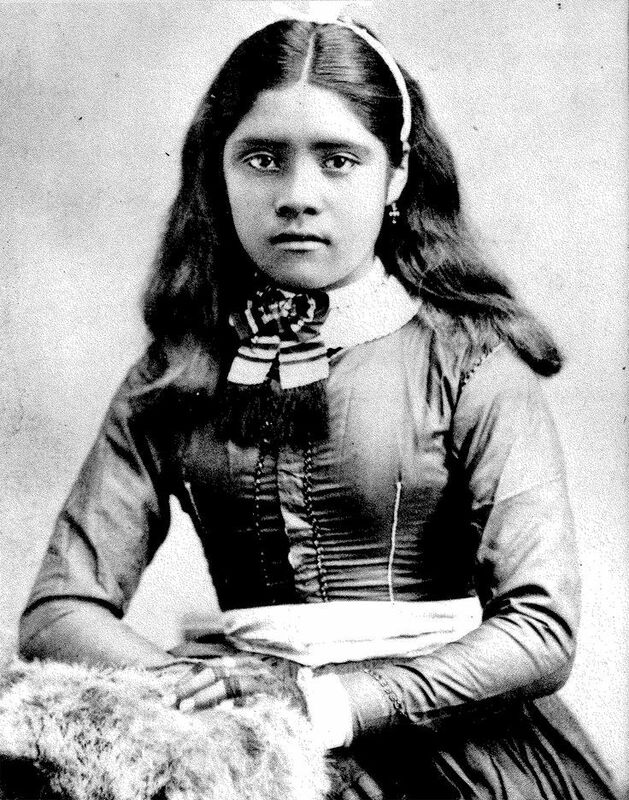 Marcelina died in 1880; a source interviewed for an oral history interview in the 1960s states that Marcelina died in a smallpox epidemic, but there were no small pox epidemics in Los Angeles in 1880. The "squatter war" was a dispute between neighbors, not a weeks-long fight with an army of vaqueros, according to newspaper articles of the period. When Miguel died in 1889 from a wagon accident, he was driving into Los Angeles.